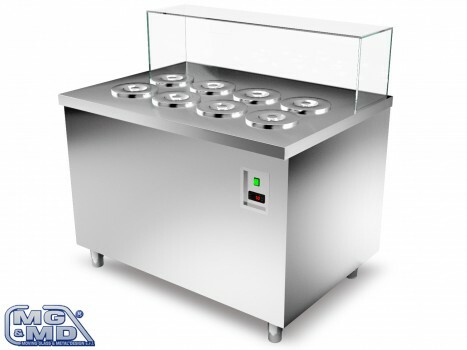 MG&MD Ice-Cream Modules are in aisi 304 stainless steel made of scotch brite, they could be supply with minimum 4 and maximum 12 containers for round ice-cream boxes, each with 2 ø200mm h=240mm ice-cream containers inside, suitable both for ice-cream and for crushed ice drink. With static refrigeration through coil exposed to glycol. Standard smooth work surface in stainless steel, with or withour upper glass structure. 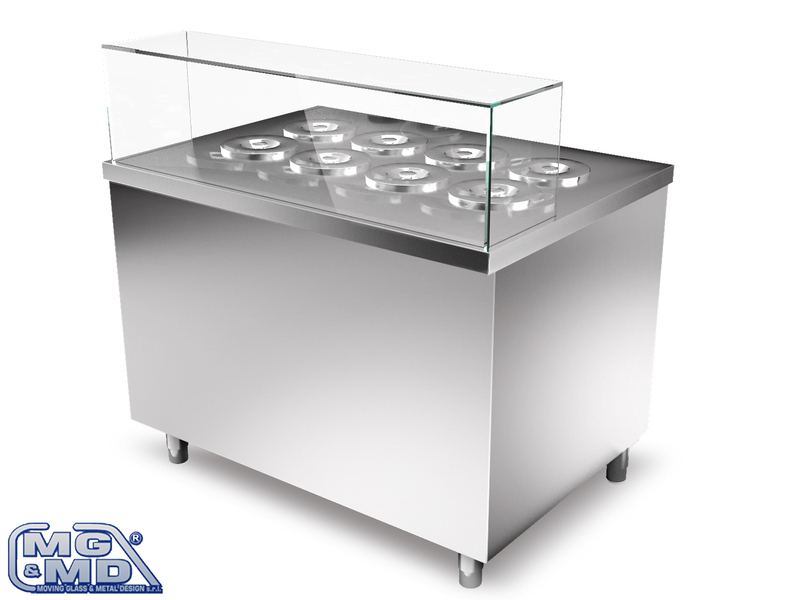 Ice-Cream cases can be supply with built-in motor (into L=400mm stainless steel compartment, standard on the right) or remote motor. The temperature contol is through electronic unit.